So the all important question after any SJ is were the party at, well not to disappoint its at the same spot we’ve boogied for the last 5years theBUMPER. If you attend SlammJamm 16 this year and your of afterparty age it’s important you keep your wristband on which will be allocated to you at reception. This wristband gets you FREE ALCOHOL!!! !,that’s right for every beer you purchase you get a FREE SHOT. 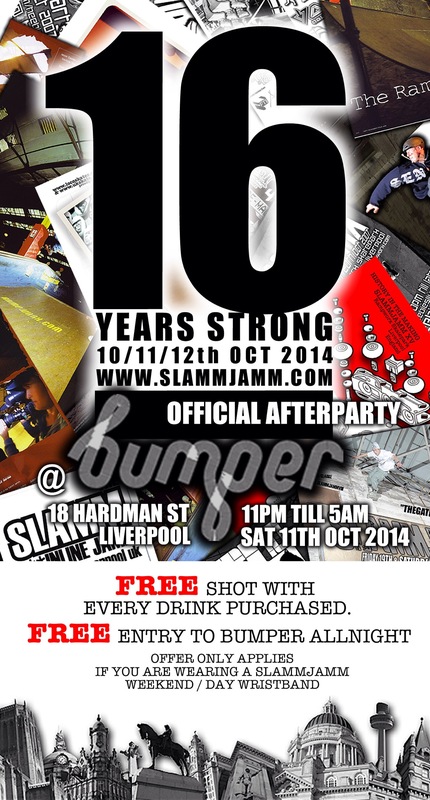 That’s a SLAMMJAMM16 exclusive only if you are wearing your wristband at the AFTERPARTY. Save the image so you got the info you need to party.